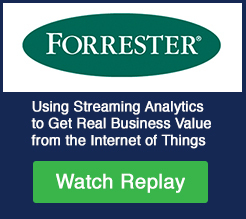 This presents a new set of Real-Time Big Data Industrial Internet of Things Analytics opportunities. Vitria’s Stream Services ingest data from sensor networks using standard IIoT protocols at high speeds and volumes. 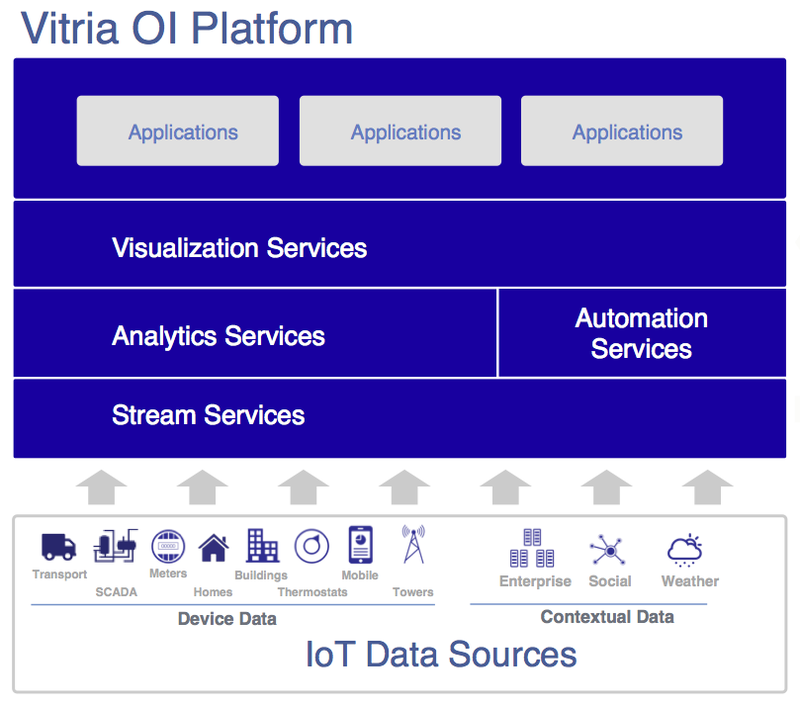 Vitria’s Analytics Services filter, correlate, aggregate, enrich, pattern match, and geo-locate the sensor data with contextual data through a high-performance streaming analytics engine. Vitria’s Automation Services trigger automated processes that dynamically adapt based on situational awareness. Vitria’s Visualization Services provide complete data visibility through live, interactive dashboards. All of this is achieved through a scalable architecture to capitalize on the volume, variety, and velocity of incoming data and events. Smart Grid / Meter Monitoring: The IIoT is especially relevant to the Smart Grid since it allows systems to gather and act on energy and power-related information in an automated fashion with the goal to improve efficiency, reliability, economics, sustainability, and most importantly, security of the production and distribution of energy. Using Advanced Metering Infrastructure devices connected to the Internet, energy utilities can support all phases of meter data analytics – from data acquisition to the final provisioning of energy consumption information to utility applications or end customers. Vitria OI helps energy utilities ingest, enrich, and analyze interactions across the Smart Grid in real-time. It combines and correlates consumer profile, SCADA, sensor, and device data to create a 360°-view of the Smart Grid presented through live, role-based dashboards. Smart Buildings, Campuses, & Cities: Smart cities are urban areas where multiple sectors, such as transportation, public safety, and utilities, must cooperate to achieve sustainable outcomes by sharing their operational data and information, and analyzing this information to develop context-driven services. With an increasing volume and variety of data that an expanding IoT architecture is producing, smart cities will need to implement predictive analytics and machine learning capabilities to enable the extraction of timely information to immediately act. The business impact of a smart city will be driven by the ability to automate and deliver better services to its citizens. Vitria OI provides real-time analytics to optimize resources and processes and anticipate threats and opportunities using models generated by machine learning, with the ability to take immediate process-based action on the discovered insights. Asset Tracking for Logistics & Transportation: Radio frequency identification (RFID) tags use radio frequency waves to automatically transfer data between a tag (i.e., physical asset) and a reader to identify, track, and locate the tagged item in real-time. Major initiatives that use this technology include tracking assets, loss prevention, inventory management, transportation, and logistics. With Vitria OI, retailers and other organizations with a complex global supply chain can continuously monitor their assets and processes to instantaneously detect shortages, overages, or missed shipments, especially when dealing with priority orders.